Liverpool's Alder Hey Children's Hospital could be expanded to include an urban farm, cinema, gym and performance space under plans to integrate the site within a park. Bosses want to extend Springfield Park in West Derby so it wraps around the hospital, which reopened in 2015. 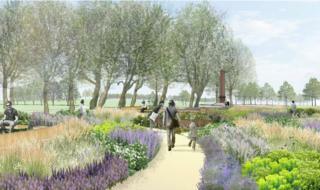 The project would result in the first children's hospital in Europe to be integrated within a park. Royal Liverpool Children's NHS Trust has submitted plans to the council. The trust said the "once in a lifetime" vision would deliver a "living health campus" and be "driven by children and young people's wishes". It would involve a land-swap agreement made between the hospital and Liverpool City Council in 2012, according to the Local Democracy Reporter Service. The plans, which are under public consultation, would take three years to complete with building due to start later this year. The trust said the idea for an urban farm followed research carried out by architects, which showed the benefits that interacting with animals can have on an individual's health and patient recovery time. A decision is expected to be made by the council's planning committee within the next two months.